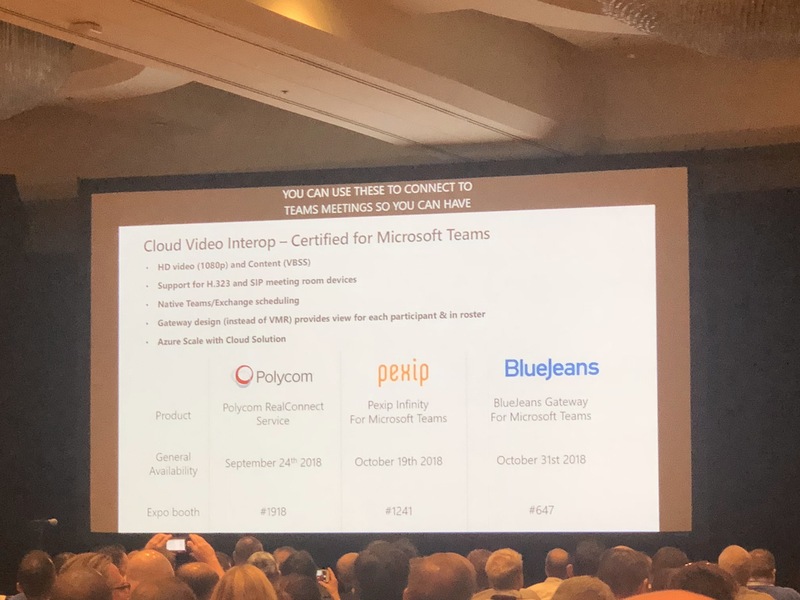 After nearly a year of developing and testing, all three providers of Cloud Video Interop (CVI) are available to the public to allow standards-based video conferencing devices (VC or VTC) join a Microsoft Teams Meeting. 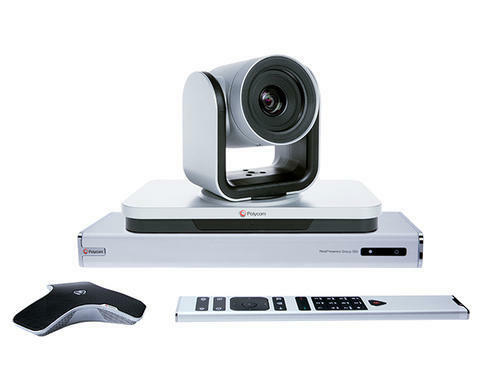 What is a video conferencing device you may ask? Well it is a system that is usually found in meeting rooms and huddle spaces and vary from brand new right up to 20+ years old. They just work and not often fail. However organisations like to upgrade to get better audio and video quality, especially as screens get larger, you want a better camera image as they now may show up the odd wrinkle or two. So who makes this stuff? Well it is made by manufactures such as Cisco, Huwaei, Polycom, Tandberg (now part of Cisco) and Yealink etc. These guys all make great standards based video conferencing systems that all following the same language such as SIP and H.323 and have done for years. This is where the problem starts. Organisations do not want to get rid of technology that is working perfectly just for the sake of it. However, they could be moving to say Microsoft Teams on the desktop, but also want the meeting rooms to be part of the new collaboration workspace. So what are the options? Option one is to replace your standards-based systems with shiny new Microsoft Teams compatible room systems. There are now six manufacturers making these, Crestron, HP, Lenovo, Logitech, Polycom and Yealink (due in 2019) and all are certified by Microsoft. This may be ok if you have a handful of rooms, so you can spend say around £2k per room, fit out ten rooms and you are looking at a cost of say around £30k including installation to maybe replace them. Now imagine you have 500+ rooms, you are looking at over £1m. This is not feasible for many organisations, unless they’ve won the lottery maybe. Cloud Video Interop is option two. There are three providers in this space that Microsoft has certified. BlueJeans, Pexip and Polycom. All three have worked with Microsoft to bring to market their own interpretation of guidelines set out by Microsoft. Each provider has a slightly different offering in terms of deployment options and pricing. All have the same basic principals, audio, video and content both ways. There are some slight differences and I’ve highlighted them below and will discuss each one below the table. So first off, where can CVI be deployed. As with BlueJean’s vision, they are a SaaS company, so nothing is on-premises. This goes for CVI too, it’s all hosted and run by them. 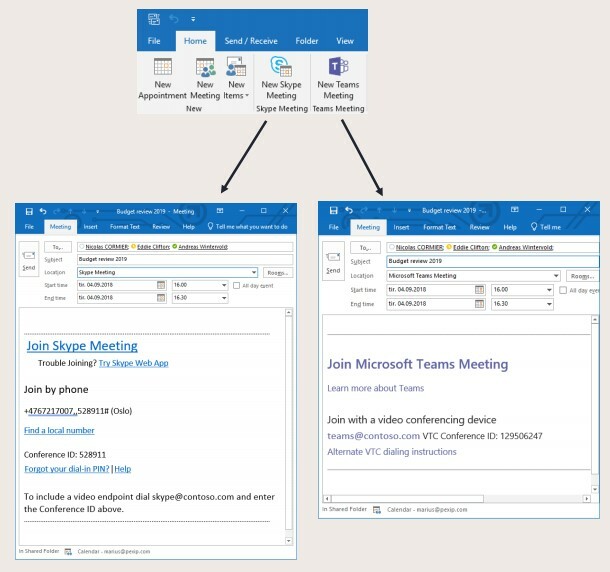 This is also true for Polycom, as CVI for Microsoft Teams is an evolution from their RealConnect for Skype Online service. With Pexip, there is the option to deploy the main part of Pexip, the transcoding nodes along with the management node, all within your datacentre on Hyper-V, VMware, Xen or KVM. There is one requirement that the Pexip Teams Connector must be installed within Microsoft Azure. But having the Pexip transcoding nodes within your network, you can keep it all under control. So if your organisation has lots of video systems, sending them all to the cloud will require some planning around internet bandwidth utilisation, with an HD video call that could be up to 3mb. Let’s look at an example. If you had 25 concurrent VTC sessions of video calls going to the cloud at a call speed of 1mb, then you are looking at around 30mb for all those video calls as you need to allow for some overheads on the network. Also, Pexip can be deployed in a hybrid model, so some on-premises and some say in Azure for overflow/bursting capabilities. Finally, Pexip have a pure cloud model. Pexip can be fully deployed in Azure, with some always-on capacity and then some bursting nodes too, saving some Azure running costs. Again this means your platform is within your control. For CVI as a service, that is what BlueJeans and Polycom offer, their CVI is hosted and run by them and you subscribe to their interop service. 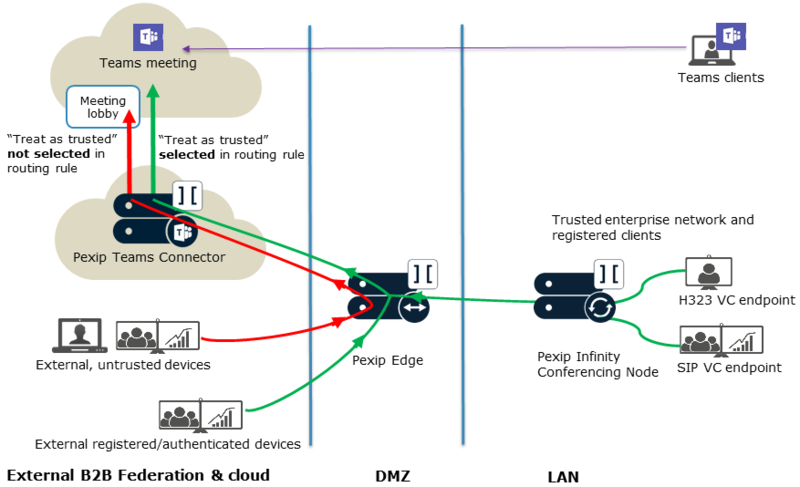 Polycom is a per-connection based license and BlueJeans is a per-user model. With Pexip, you turn the interop service on with a single license key for all Teams users. In addition, since the start of October, Pexip has announced that is plans to merge with Videxio, who is a provider of video interop and meeting services. This means they will be able to offer CVI as a service. They already do this today for Skype for Business and Google Hangouts, all based on Pexip technology. 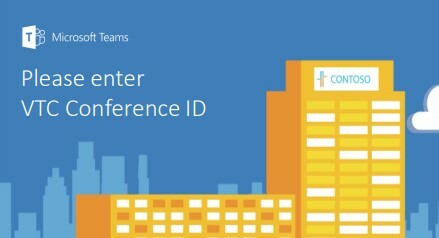 Setting up CVI for Microsoft Teams is different from how it was with Polycom RealConnect for Skype Online. 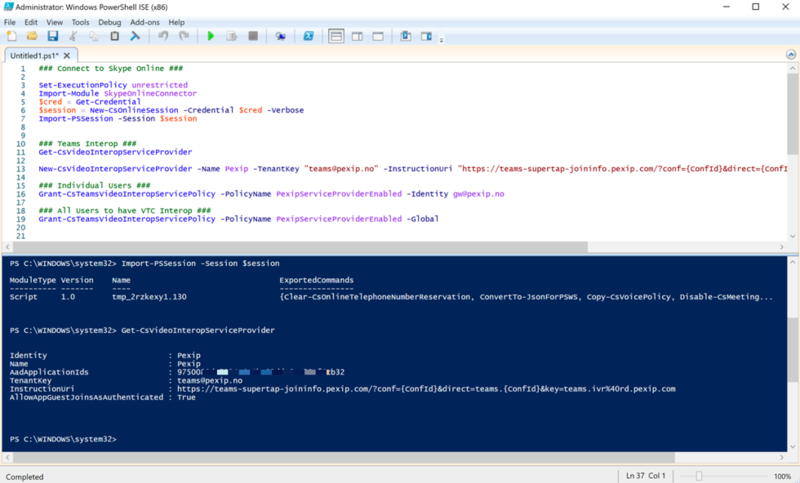 Rather than being part of the O365 portal, it is now done via PowerShell. There are two commands to run and they are quite simple. Just define the CVI partner, the SIP URI to dial in and then the URL of the Alternative Dialling Instructions. There are some further configurable options detailed on the Pexip Docs site here. You then define which users have access to this new footer in Teams or you can set it for Global, so all users have CVI interop. One thing different with Pexip is that it allows select service providers who are running Pexip to deliver interop as a service. This could be especially useful if your provider is also doing other services such as your Teams/Skype deployment or even managing your meeting room devices. It means you can get everything from one provider and they can do all the troubleshooting when required. For registering devices (to allow video devices to make calls), Pexip has this built into the Infinity Platform. There is no additional charge for this. If you are an existing VC user, you may already have your registrar from say Cisco or Polycom, so you could use that. In the long run, you could simplify that with it all on Pexip for example if you didn’t want multiple maintenance contracts. Again, VC call control is similar to the above, if you have an existing platform, you can use that, otherwise you can bring that over to Pexip too. One of the nice features that Pexip has built into its platform, is the ability to treat calls as trusted or untrusted. What does this mean? Well, within Microsoft Teams, you can turn the lobby on or off for VC/VTC devices joining meetings. 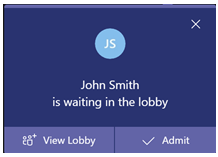 If this is set to on, this means that any VTCs joining a meeting will be put in the lobby and users have to admit them into the meeting using a Microsoft Teams client. If the lobby by-pass is disabled, it then means all VTCs will be placed into a meeting. This means that any VTC can join a meeting at any time. So what Pexip has done is the ability to identify where the VTC is calling from (internal or external, and/or registered devices, it can then allow them to bypass the lobby. 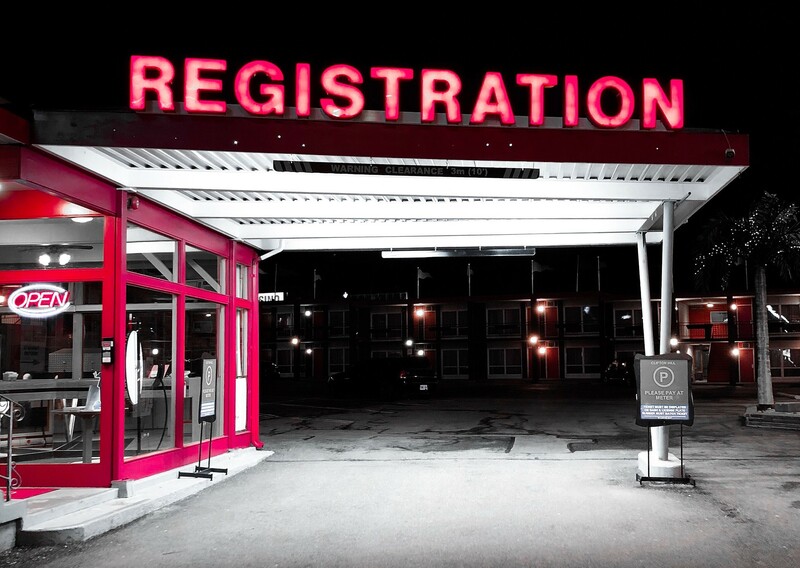 Anyone who is external and not registered, will be placed into the Teams lobby, waiting to be admitted. What is cool about Pexip is that it is the same platform for Skype for Business Server, Skype Online (and Google Hangouts). There is not a different server that needs setting up, it’s all the same. Polycom mentioned at Ignite that the new CVI for Teams is a completely new architecture and build compared to RC for Skype Online. Also, BlueJeans was never interoperable with Skype for Business as a Gateway (just allowed Skype for Business users to join a BlueJeans Meeting). Within the CVI signature in Teams, you can have if you wish Alternate VTC Dialling instructions. Within Pexip, this is hosted within the platform and you have several config options. After speaking with the Polycom team at Ignite, they mention this was possible too, to customise the landing page. I am guessing this should be doable for BlueJeans too. It’s just a simple webpage understanding a set of variables. When users join a gateway call, there are usually default screens. I have seen the Polycom and BlueJeans ones, there are also a set of default ones on Pexip. As with everything Pexip, these can be customised to suit corporate branding guidelines. As 3rd parties may want to join a Teams meeting, they may not have Teams installed or any VTC devices. 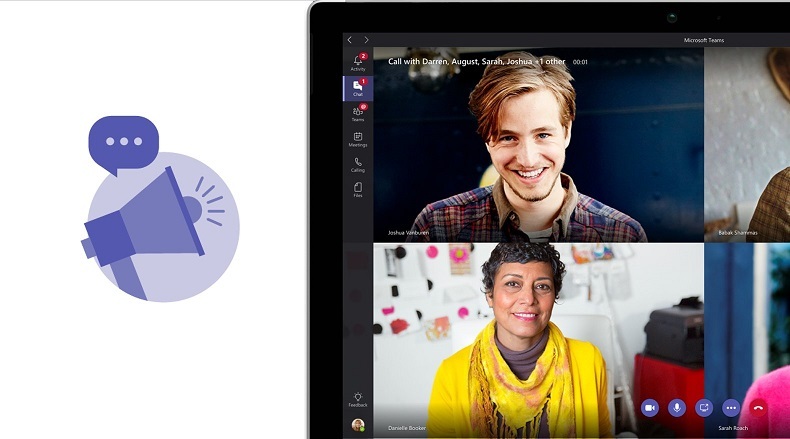 With Microsoft Teams, you can use Microsoft Edge to join the Teams meetings as a guest with full audio, video and content features. Within Google Chrome, you can join with audio only. It is on the Microsoft roadmap to expand audio, video and content to other browsers with WebRTC. As part of Pexip Infinity, this is native, so users can join Teams meetings with just a browser using no downloads/plug-ins via Pexip. BlueJeans and Polycom do not have this as part of their offering as far as I know. One of the simple things to make joining meetings easy is the ability to click a button and be in that meeting. Polycom and BlueJeans offer this as part of their offering. 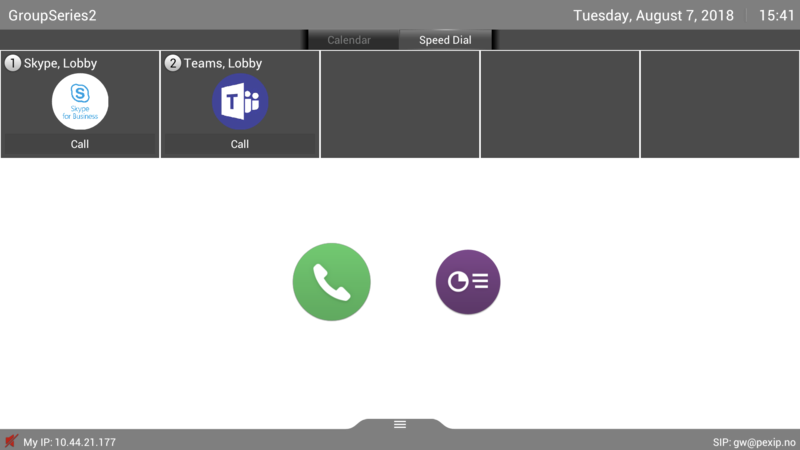 I saw the Polycom Cloud Relay Web interface at Ignite and it looked nice and simple to get set up. Within Pexip, you can have several options. Firstly, devices that are registered within the organisation, they can simply dial the 9 digit conference ID from the Teams invite. Another option would be to put a speed dial on the touch panel (as you could have two, one for Skype Meetings and one for Teams Meetings) and then the user inputs the 9 digit conference ID. The final option is to work with a 3rd party such as Synergy Sky to provide the click to join feature for Skype and Teams meetings. This works for Polycom and Cisco devices and any third parties, it can auto dial out to those VC systems at the specified time. Finally, availability. BlueJeans has indicated that the first release has been deployed in a US datacentre to start with, with more coming online in 2019. Polycom also indicated that it was enabled in two datacentres in the US with EMEA coming online soon after. Again, as mentioned at a session at Microsoft Ignite, Polycom uses certain services of Azure, so it seems that their availability covers 13 Azure datacentres globally. With Pexip, the Teams connector also uses certain services from Azure datacentres, so this is available in 14 global Azure regions. Even though Azure has 54 datacentres, not all are built the same, and more importantly, not all have the same compute series available, or even have compute spare for you to deploy servers/services. When did you think the cloud can run out of compute? Well it can. Here is some bloke taking you through an overview of the Pexip CVI for Microsoft Teams. So there you have my comparison of CVI services from the three certified vendors. There are others out there that claim to have a Teams device, but it is not certified. 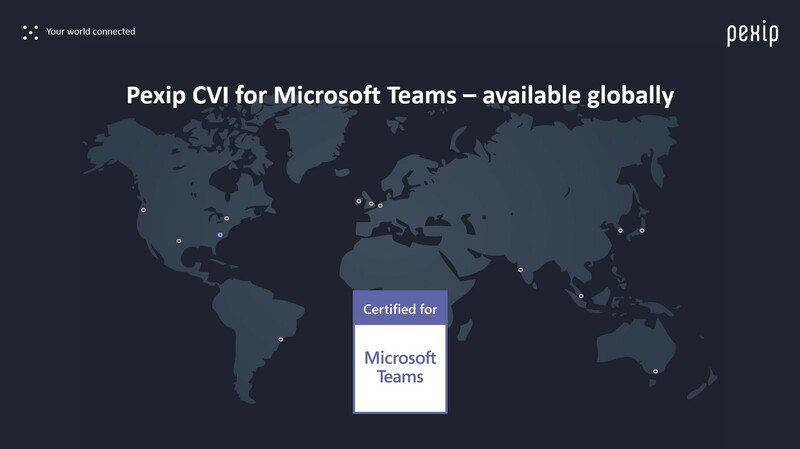 Anything, not Microsoft Teams, must use a CVI partner to be supported. Even a device such as the Polycom Trio with the Visual+ add-on is not compatible with Teams, so again, use CVI to make it happen. Quick video demo here of that in a Teams call, along with an overview of trusted/untrusted users joining a meeting. Feel free to drop any comments below. All three providers have a roadmap for further enhancements on their CVI integrations, so keep following for more info.